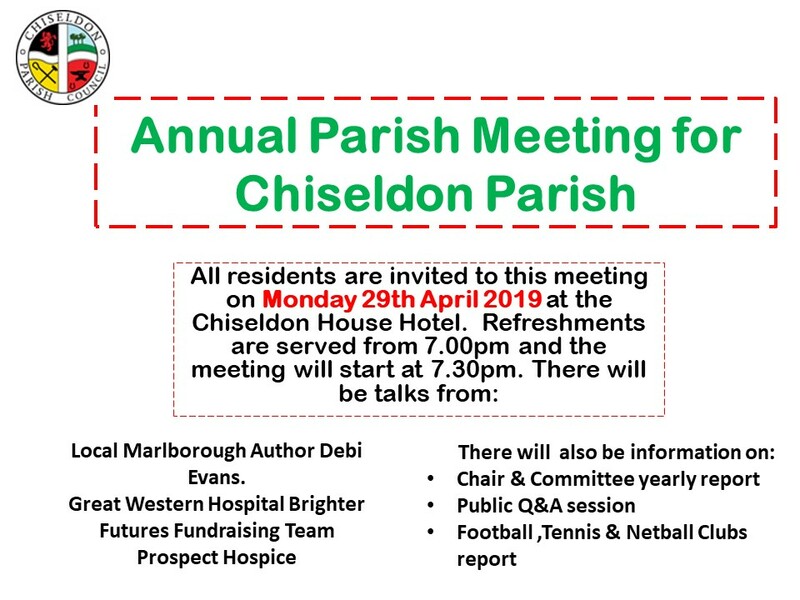 Announcement: The Annual Parish Meeting for Chiseldon Parish Council takes place on Monday 29th April. Full details on this poster. Keep up to date with what’s new in Chiseldon Parish. Here, you can find out about all the latest developments in the council, issues affecting your community and forthcoming events in the area. Notes for the issues and articles appearing in our local parish magazine, The Ridgeway Bell, are included. We're grateful to the magazine for supplying much of the community information. We rely on our residents to let us know what’s happening, so please get in touch with any information of interest to the community. This page is updated regularly, so keep checking back!